Listen to "Visits from the Afterlife: The Truth about Ghosts, Spirits, Hauntings, and Reunions with Lost Loved Ones" on your iOS and Android device. 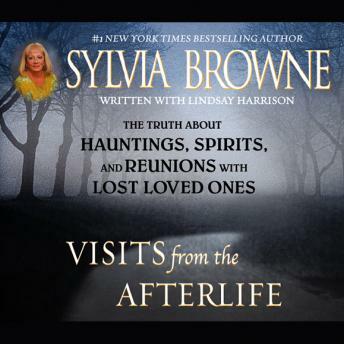 New York Times bestselling author Sylvia Browne recounts her encounters with ghosts and explains this spiritual phenomena in the same way she explained the spirituality in dreams with Sylvia Browne's Book of Dreams. In Visits from the Afterlife, she visits haunted homes, explains the meanings of visions and nightmares, considers why ghosts exist and decodes messages from The Other Side. This is an astonishing and inspirational book that will resonate with readers everywhere. So informative! It answers many of life's (or the afterlife's) burning questions.